Delicious ricotta cheese with the zesty twist of citrus and the goodness of almonds. Place the ricotta cheese, ground almonds, sugar, peel and zest in a bowl and mix well. Place 7 sheets of filo on a board and cut into 2 rectangles, 40cm by 20cm. Cut in half along the width to create 2 x 20cm squares. Cover with a damp tea towel to prevent the filo from drying out. 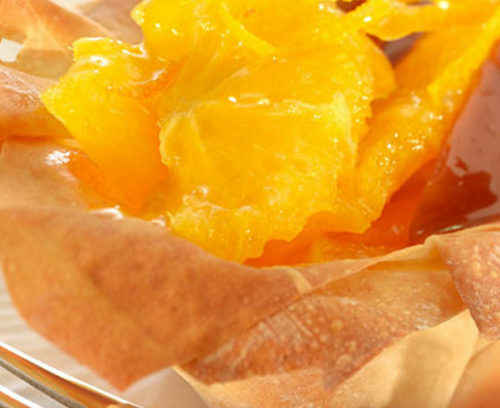 Lay a filo square on a board and brush with melted butter, lay the second sheet on top and brush with melted butter. 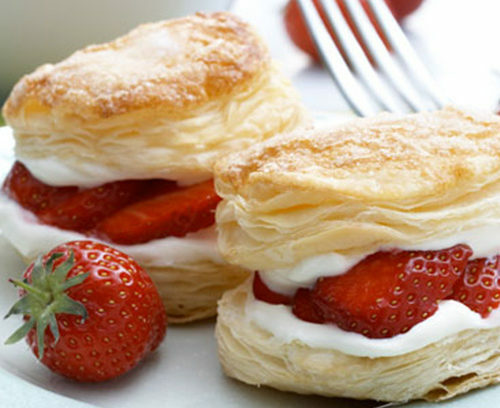 Repeat the process with the remaining pastry. Divide the filling into 7 and place the portion in the middle of the pastry. Draw the corners into the middle with the sides to form a purse and squeeze together to seal. Repeat with the remaining purses, place on a baking tray, brush with any remaining butter and place in the oven for 15 minutes, until golden. Transfer to a wire rack to cool, dust with icing sugar and serve. 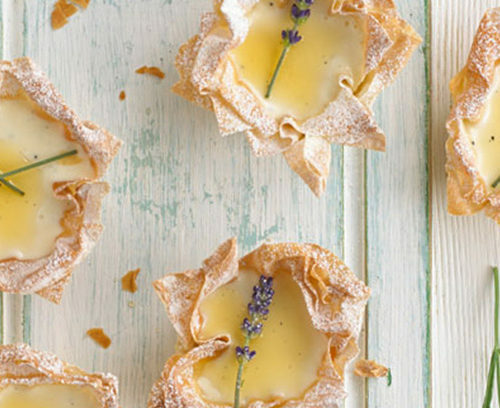 These tasty citrus purses make a delicious alternative to mince pies as a festive treat! Swap the citrus peel for 25g of chopped hazelnuts and chocolate chips for a delicious alternative!